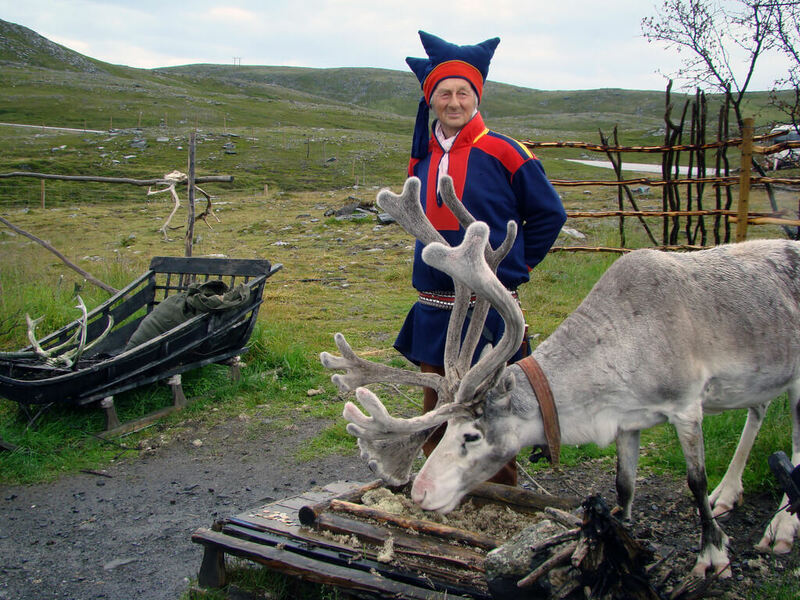 A Saami and reindeer. Photo by Dutchbaby @flickr (Some Rights Reserved). An unprecedented land grab will threaten the last old growth forests of Finnish Lapland and the homeland of the indigenous Sámi Peoples if a new Forestry Act is approved by the Finnish Parliament this week. 130,000 people have already petitioned the parliament to stop the Forestry Act, which Sámi indigenous groups say would lead to the end of Sámi reindeer herding in its current form. This crisis arrives in a context in which the previous Finnish Government failed to ratify the UN Convention on the Rights of Indigenous Peoples, leaving the Sámi vulnerable. Now the current government in Finland is moving fast to completely wreck the existing rights of the only Indigenous Peoples living in the European Union. If the new Forestry Act is passed, Sámi areas in Upper Lapland, including large tracts of boreal old growth forests, will be opened up to a range of economic uses. The new Act would affect 2.2 million hectares of water systems and 360,000 hectares of land, mostly in the Sub-Arctic and North Boreal areas of Finland, the Sámi’s Home Area. This area constitutes the last preserved wilderness of Europe. The Act would transfer power over this region further into the hands of state authorities, opening up the Sámi Home Area and sub-Arctic ecosystems to railway construction, and with that, potential expansion of mining, forestry and other infrastructure projects. The new Forestry Act would no longer require Metsähallitus, the Finnish state-run enterprise which already controls 90% of the Sámi Home Area, to liase with the Sámi Parliament and the Skolt Sámi Village Council on issues of land management and their potential impacts on indigenous people’s lives. The preparation of this Act has not been conducted with the Free, Prior and Informed Consent of the Sámi People. There is an urgent need to ensure that Metsähallitus and others are prevented from undermining present or future opportunities for the Sámi to practice and foster their culture. The new Act needs to include clauses that provide a protective zone and mechanisms for the Sámi to safeguard their cultural practices. These are missing from the existing legal proposal leaving both Indigenous Sámi leaders and Arctic scientists concerned about the proposed new reforms. “Sámi reindeer herding and the Sámi way of life are in danger of disappearing if the new Forestry Act legislation passes in the Finnish Parliament. In this case we will have few opportunities to influence the decision making over our lands. Rather, our territories will be controlled by market economy values,” says Jouni Lukkari, President of the Finnish Section of the Sámi Council. Concerned about the threat to their culture and homelands, all of the Sámi reindeer herding cooperatives, the economic units through which reindeer herding is organized in Finland, are opposing the new Act. Despite decades of industrial forestry and road construction in Southern and Middle Lapland, the Sámi’s traditional trade has been able to cope and maintain its iconic socio-ecological complex. But the new Act threatens to change all of this. Since details of the new Forestry Act emerged, the reindeer herding cooperatives, as well as the national Sámi Parliament and the international Sámi Council, have taken strongly-worded letters to Finland’s Prime Minister Juha Sipilä asking him to stop the Act in its current form. Considering both the historical damage they have sustained and the difficulties of adapting to rapidly-proceeding Arctic climate change, Sámi reindeer herding practices cannot cope with the imposition of the sudden industrial changes promised under the new Forestry Act, Mustonen explains. “There is an urgent need to stop the current form of the Forestry Act from proceeding further”. Should the Act manage to pass in the Finnish Parliament this week, the Sámi will demand a full Moratorium on all state forestry and infrastructure actions inside the Sámi Home Area until such a time that the Indigenous rights over the area can be jointly agreed on. Mustonen also suggests that a mapping of the Sámi Land Use, in accordance with international standards, should be enacted to document the historical and contemporary land and water rights of the Sámi. “This could then serve as a basis of a neutral re-start to Sámi – State relations in Finland; a re-start much needed and awaited by all parties,” he concludes. In the meantime, Sámi representatives are requesting support from the international community.